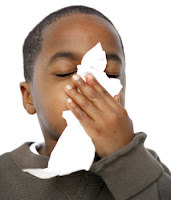 Home » testing » Can A Person Have Allergies Even if Allergy Testing Comes Back Negative? Can A Person Have Allergies Even if Allergy Testing Comes Back Negative? YES!!! But how can that be?!! Well, here is the simplified answer. When allergy testing is performed whether by skin prick or blood testing (RAST), one is testing to certain specific proteins known to cause allergic reactions in majority but not all patients (these are called major allergen). Patients need to remember that for a given allergy like CAT (or tree, mold, dust, etc)... there are millions of proteins (minor allergen) that have the potential to cause an allergic reaction in people. Allergy testing to cat ONLY tests for ONE of these proteins called Fel d1 as well as a few other minor allergens. As such, if a patient is CAT allergic, but not to the Fel d1 protein, then the allergy testing will come back normal! Given this information, that's why skin testing is a bit more "accurate" when it comes to determining whether a patient has allergies or not as there are more "proteins" for a given allergen like CAT being tested than the blood test like RAST which STRICTLY tests for a single protein. Of course, it is possible that a patient may TRULY not have any allergies. So, how can a person tell? Look at the total IgE serum levels. If it is high, than you most likely have allergies even if everything comes back negative.